Parsnips are currently in season, fall and winter being their prime time to shine. A root vegetable closely related to the carrots, it offers a wide range of ways to be cooked and today I’m sharing one of my favorites: Roasted Turmeric Honey Parsnips. Slightly sweet with a hint of natural spice in the vegetable, the side dish has become a favorite in our home, whether as part of a meal or a midday snack! I’d going to be honest. I didn’t even serve these as part of a meal because I quite literally stood over the oven once they were baked and snacked on them for ten minutes. Then I proceeded to put the rest in a bowl and bring them over to my desk, where I finished them off in a few more minutes. 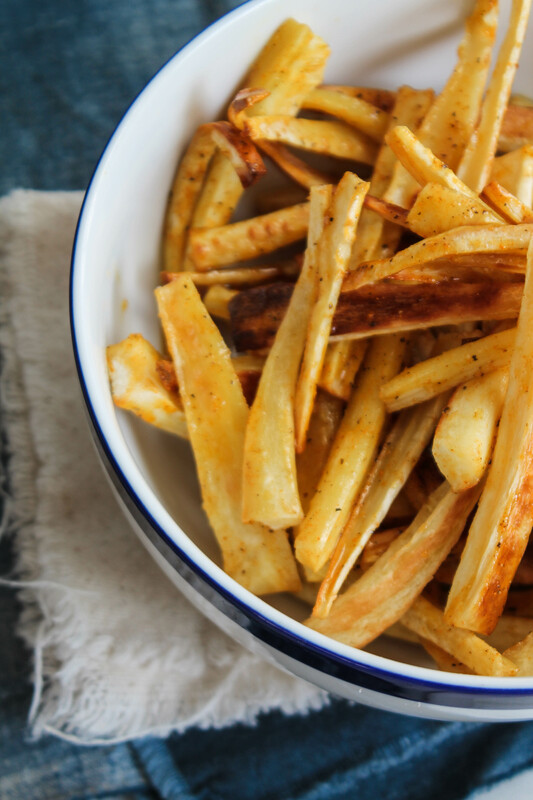 These Roasted Turmeric Honey Parsnips are that good and with just six ingredients, they’re not only tasty, but super simple to make! 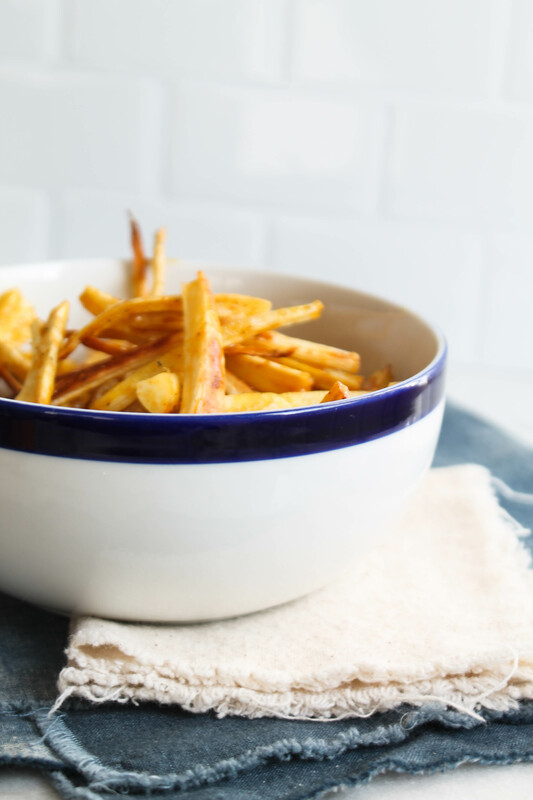 With super high levels of potassium and dietary fiber, parsnips also make this side dish a healthy one! They are naturally sweet, but I’ve added a hint more with some honey. The addition of turmeric and black pepper combined with the honey make it the perfect little marinade to toss these in to bake in the oven. And as they bake, the honey caramelizes and creates a sticky sweet coating that you and your family will love. Let me know in the comments how you like to cook with parsnips! These parsnips are so deliciously sweet and flavorful, you'll end up eating them even before you serve them up! Peel parsnips and cut into matchsticks. Toss on a large baking tray. In a small bowl, whisk the honey, oil, turmeric, pepper, and salt together. Drizzle over cut parsnips and gently toss with hands, coating all the parsnips. Bake for 15-25 minutes, depending on thickness, flipping them over halfway through cooking for even browning. Serve warm or room temperature. This sounds interesting. I was planning on growing different veggies in my garden. Now I will be adding this. Looks like we need to head to the grocery store because this sounds like the perfect snack today!